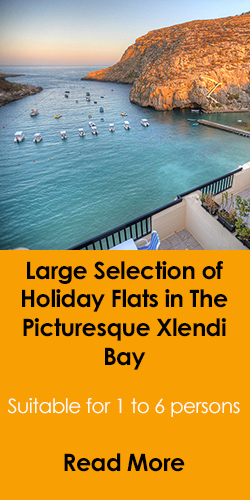 Xlendi Bay Holiday Apartment. Multiple 2 bedroom units in a detached and neat block of six apartments situated in this popular Gozitan old fishing village. Each apartment enjoys the shared use of a swimming pool. Xlendi bay, a long time favorite of returning visitors spending their summer holidays in Ggozo. Rent this 2 bedroom holiday apartment located in a residential area of Xlendi, yet within a 5 minute walk to the bay area where there are numerous restaurants and bars. 2 bedroom holiday flat with balcony, situated close to the valley of xlendi. Accommodation is provided for up to 6 persons. The flat is comfortably located within easy walking distance to the cliffs of Xlendi over the valley as well as the bay area. Xlendi apartment ideal for Gozo holidays enjoying a large open plan living and dining area with cable TV and free internet WIFI. Guests will enjoy beautiful views and sunsets over Xlendi bay from the sea view balcony. 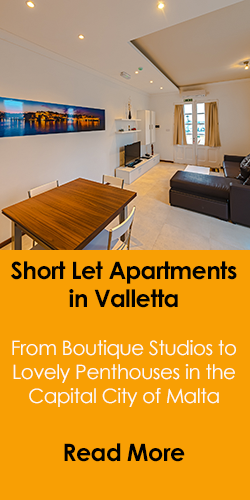 Studio apartment rental in Xlendi, ideally suited fro 2 persons who wish to have separate beds. This compact studio is situated at semi basement level however it enjoys plenty of light with a window overlooking the street and another window over looking a yard. Comfortable studio apartment located in Xlendi, ideally suited for a couple on holiday to Gozo. Roof garden and BBQ area is also available to guests. Free WiFi. 2 bedroom apartment situated in a quaint area in Xlendi enjoying peaceful sceneries, wonderful sunsets and sea views. A perfect holiday apartment for total relaxation in Gozo. 2 bedroom holiday flat in Xlendi, just a few minutes form the little beach inlet and delicous sea food restauarants. The location is well known for the scenic majestic Xlendi cliffs and the wonderful sunsets over the sea. Xlendi. Two bedroom holiday apartment, situated in a quiet street, within a 10 minute walk from the centre of the seaside village of Xlendi. The location of the property enjoys commanding views across the bay towards the magnificent and scenic Xlendi cliffs. A two bedroom holiday apartment situated in Xlendi. 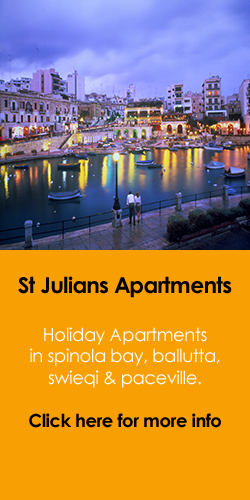 The location enjoys beautiful sceneries, wonderful sunsets and sea views. Perfect for total relaxation at a decent price. One Bedroom holiday apartment in Xlendi Gozo, located minutes away from the Xlendi seafront which is lined up with numerous local fish restaurants and a small sandy beach. Accommodates a maximum of 2 persons. 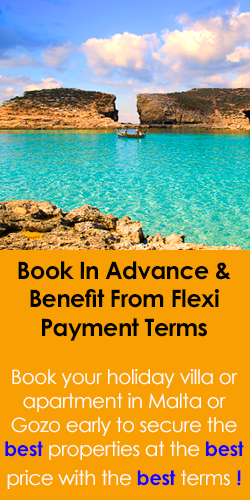 Gozo holiday apartments in multiple two bedroom units, within a few minutes walk to Xlendi bay, numerous fish restaurants, a scuba diving school and local shops. Sea and Country Views. 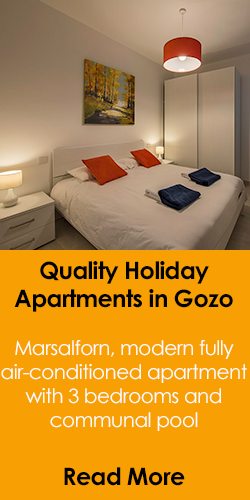 Accommodation in Gozo at an excellent price. Xlendi Gozo holiday accommodation with Sea & Country views. A two bedroom apartment located in this popular seaside village known locally for the best fish restaurants on the Island. Excellent price all year round. Low cost holiday rental apartment In Xlendi Gozo, providing accommodation for up to 4 persons in two bedrooms, enjoying side sea views. Excellent location, within 5 minutes walk to the popular Xlendi Bay. A bright, first floor, holiday apartment in Xlendi, Gozo, enjoying 3 bedrooms, 4 single beds and 1 double bed, providing accommodation for up to 6 persons. Two bedroom apartment for short lets in Gozo, situated just a 5 minute walk form Xlendi Bay. Standard apartment providing accommodation for up to 4 persons at an excellent price, situated on the 2nd floor and enjoying sea & country views. Two bedroom holiday apartment rental In Xlendi Gozo. 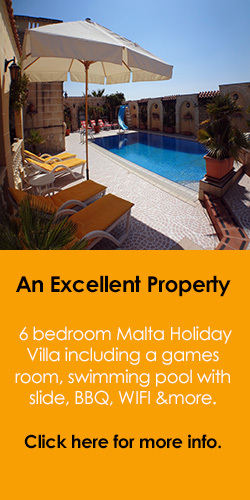 Situated just a 5 minute walk away from the popular & picturesque Xlendi Bay. The apartment enjoys side sea views. Accommodation for up to 4 persons.